The Gorgon gas project is a natural gas project in Western Australia involving the development of the Greater Gorgon gas fields, subsea gas-gathering infrastructure and a liquefied natural gas (LNG) plant on Barrow Island. The project is currently under construction and once completed, will become Australia’s fourth LNG export development. CMP is supplying over 250,000 cable glands to the Gorgon gas project including CMP’s innovative RapidEx resin injection system. RapidEx is used when a barrier is needed to prevent gas migration in cables and prevent explosions in hazardous areas. RapidEx is a liquid pour, fast curing, resin barrier seal that installs in seconds and cures in minutes. RapidEx’s unique formula begins with a low viscosity liquid that flows into the cable interstices completely surrounding the cable conductors and, in the process, displacing the air from the cable gland’s sealing chamber ensuring the “perfect seal”. The procurement for this project was shared between the UK, Australia, Singapore and South Korea. Once the order is placed, the cable glands and RapidEx are prepared entirely in Newcastle, this includes the manufacturing of the cable glands, the moulding of the plastic/rubber parts and the assembly of the products. The RapidEx packs are also finished and assembled in Newcastle and shipped with the glands to Australia. 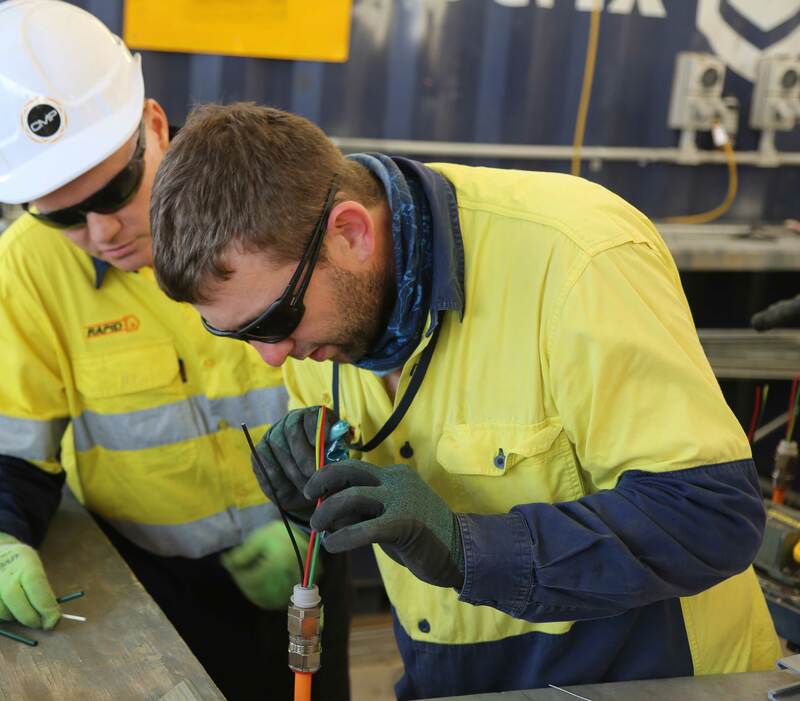 CMP Australia has trained over 1,000 technicians to install these cable glands on the site over the past 24 months. A typical installation of each of these products from start to finish would take around 5 minutes as opposed to the 20 minutes associated with conventional compound cable glands..